For your child in elementary, middle, or high school, we provide the necessary tools for success in the future. Many parents ask us when is the right time to start.. Is your child a struggling reader? If no one else could help, we can. We will work to build a strong foundation to help your struggling reader increase his literacy skills at any level. There is no right time to start. Parents often ask themselves questions like, "Is my child on track to be successful in kindergarten?" and "How do I help my child who need supplemental intervention?" To address these types of questions, our kindergarten curriculum is based on the physical and intellectual development of 4 - 6 years old. This is the time when their vocabulary expands and they form a strong foundation in the various subjects, and it is important to identify the problems that some kindergarteners might face at this stage. Your child will learn the foundations of reading and English language arts skills that set them on the path to become lifelong readers, writers, and effective communicators. Your child will begin to work with words in three important ways: decoding or word recognition skills, spelling, and writing. 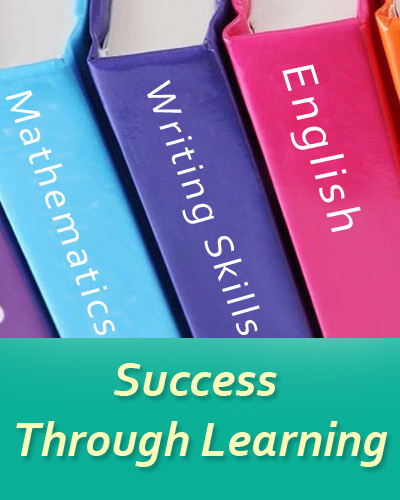 Effective tutoring at this stage provides opportunities for each student to improve his or her skills. With our tutoring, your child is better prepared in the academic language of mathematics (the language of tests and textbooks), mathematical attributes & critical mathematics vocabulary such as color, shape, size, time, and weight. Science can't be understood through memorizing concepts. Our aim of science tutoring is to help strengthen student's knowledge of the concepts they are learning in school, thereby attaining high scores and increase the desire to learn more. As a result of our science tutoring program, our students develop critical thinking and reasoning skills of science. Many students - and parents - find science complicated and confusing. They also feel frustrated and overwhelmed. Our tutors can help break science down for students and work through the curriculum at a pace with which they are comfortable. Enabling students to overcome their frustration and build confidence for success in their exams and assessment is a tangible goal. Our tutors are committed to taking the stress out of science and making science an enjoyable subject so that students can progress. We work with our students for short periods for specific difficulties as well as for long- term regular support. We offer special programs for the subjects of chemistry, physics, biology, earth science and more. Most of the students panic today about their SAT/ACT scores. We know how stressful the college application process can be for both students and parents. Competition for college admission is fierce, and PSAT/SAT/PLAN/ACT requirements are higher than ever. Your SAT/ACT scores may be the determining factor in admission decisions - possibly even more important than a hard-earned GPA. Finding the expertise you need to navigate through the PSAT/SAT/PLAN/ACT process can also be challenging. We provide personal attention, expert instruction, and use proven techniques and strategies to help you maximize your PSAT/SAT/PLAN/ACT performance. Classes are kept small (1:3 students) to ensure the individualized attention we think they need and deserve. We provide Up-to-date course materials, each student receives extensive preparatory materials including thoroughly-researched hand outs. And the most important fact is that we listen to your child and discuss this with them. It is very important to gain a wealth of practice & exposure. The best instruction can be of great help to the student at this time. Our course is loaded with really helpful strategies that will add up to large score gains for your child. Let us help prepare them for increased success.